A finely crafted five-pronged vajra and multi-metal alloy bell featuring a sleek design, vintage polished finish, excellent ring duration and a resonant sound that is deep for its size. Suitable for those who prefer a deeper tone and louder volume. 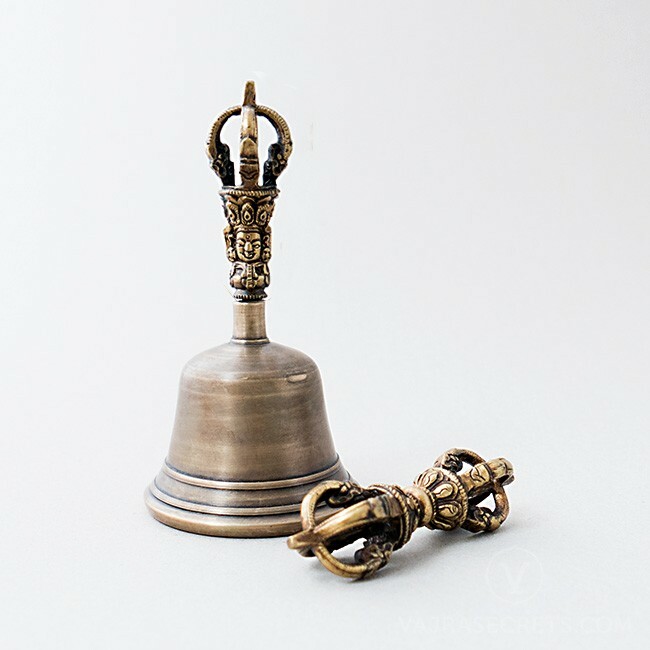 The stem of the bell is complete with all the prerequisite symbols: the head of the Goddess Prajnaparamita above a long life vase, the lotus and the vajra crown. Store respectfully in a clean and nice place when not in use.